Born premature, Ashlee Ellis was comforted by stuffed animals, particularly a pink and white dog and a small giraffe, as she lived in hospital emergency rooms fighting asthma and other health issues. Now a healthy eighth grader at Whiteaker Middle School, Ellis wants to make sure all kids get that same comfort. Working towards her Girl Scouts silver award, Ellis collected over 500 items including stuffed animals, blankets, coloring books and fuzzy socks to be donated to hospital pediatric and emergency rooms in Salem, Silverton, Stayton and Dallas. Ellis, who had an asthma attack at Yellowstone National Park four years ago and had to spend two days at Madison Valley Medical Center in Ennis, Mont., also knows what it’s like to be on that side of things as the emergency room didn’t have any stuffed animals for kids. 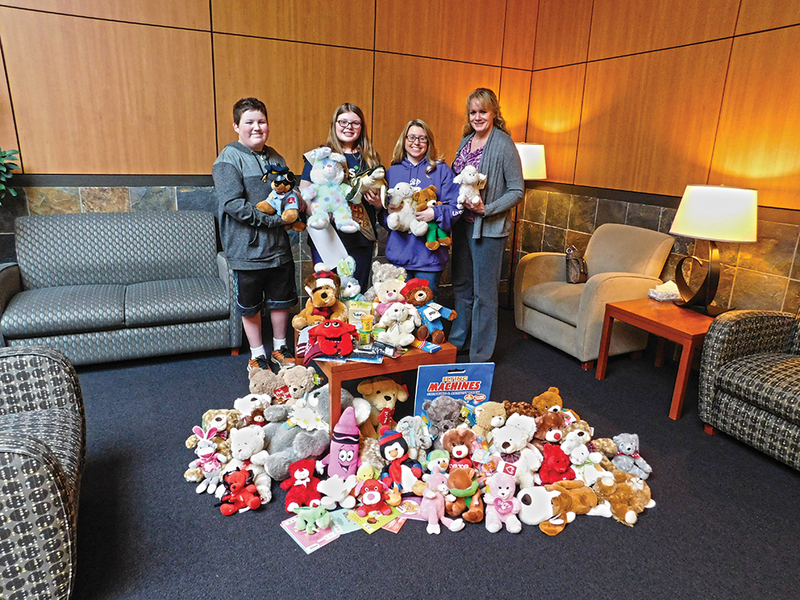 Realizing a need was there, Ellis began sending a box of stuffed animals to the hospital each year. Ellis is in Girl Scouts troop 11863, led by Mary Couser. “Ashlee has an amazing heart,” Couser said. To spread the word of her project, Ellis created business cards to hand out while she sold cookies. It wasn’t uncommon for someone to buy cookies on their way into a store and then come out later with a stuffed animal. Ellis sold a 1,000 boxes of Girl Scout cookies this year. Ashlee also got help from her older brother, Brady, a junior at McNary High School, who created a website (http://creatingcomfort-oregonhospitals.blogspot.com/) and Facebook page. Two of her teachers at Whiteaker, Meredith Sheridan and Lauren Stephenson, put donation boxes in their rooms. Ellis also heard from old elementary school friends and received packages in the mail from as far as New York and Washington, D.C. When Ellis received a check, she made sure to spend the money wisely, often purchasing items on clearance. The manager at Rite Aid would even let her know when stuffed animals were on sale. Her best friend, Michael Austin, provided muscle, helping deliver the items along with Brady and her mother Mindy. Ellis wants to continue the work into high school and even create a new club at McNary. Two trees felled by strong winds lay across Chemawa Road North and Northeast for most of a day while utility and public works crews scrambled to clean up and restore power throughout the mid-Willamette Valley Friday, April 7. 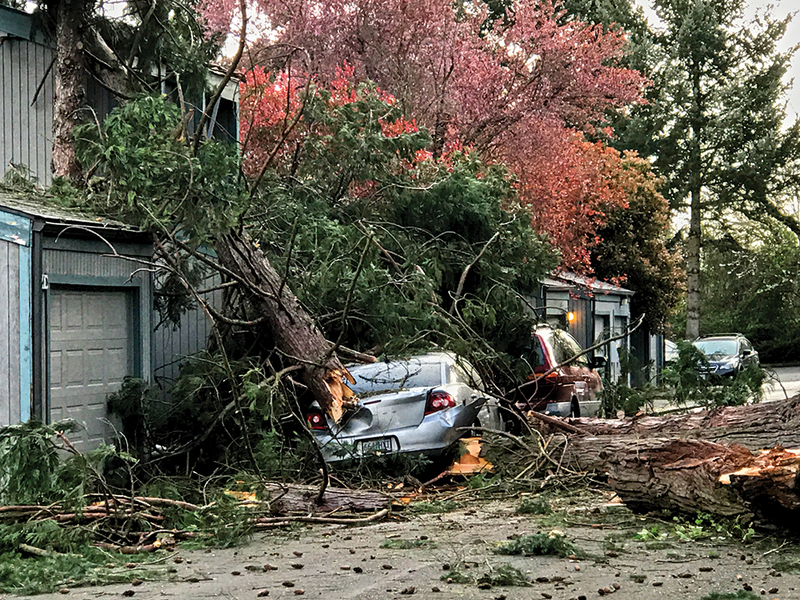 Strong winds blew through the area causing a wide range of damages to homes, vehicles, businesses and impeding travel. R&R Tree Service assisted the city with cutting up the massive trees. Keizer Public Works employees were dispatched Monday, April 10, to install new posts where signs had blown down. Nearly a dozen trees were blown over in Keizer parks. Wallace House Park lost five, Keizer Rapids Parks lost three and Mike Whittam Park lost three. A large limb also fell off a tree near the gazebo in Chalmers Jones Park behind the Keizer Civic Center.